Nokia X3-02 released on 2010, September, it has dual input method, touch screen and keypad. To know about Nokia X3-02 specification, you can visit here. The repair guide that we will give to you now is about charging problem on your Nokia X3-02. The problem is when you plug in the charger connector, the screen show "charger not supported" letter. 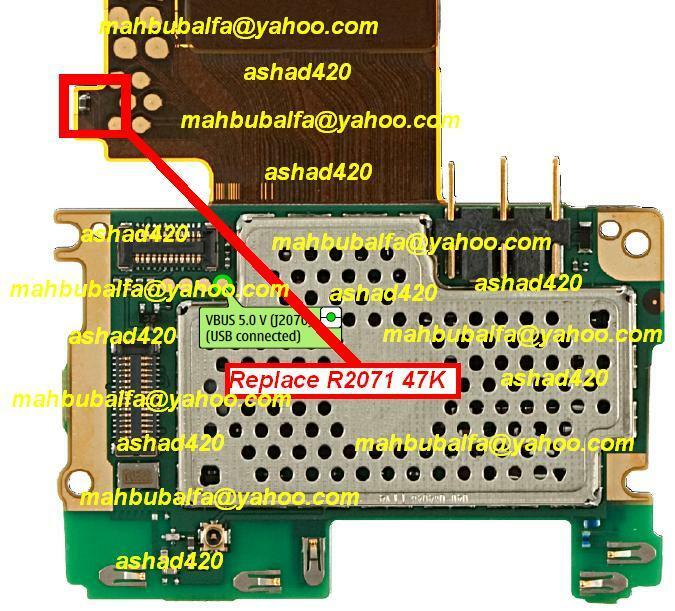 The problem caused by R2071, it is BSI resistor. Replace it with the new one. Here is the picture help.